Scott Cousino and co-founder Matt Sopcich started Denver-based MyStrength in 2010 to tackle issues that landed close to home. Cousino said he had suffered from depression, while Sopcich’s brother died by suicide 25 years ago. MyStrength is an app tool that aims to help people who suffer from depression, anxiety, substance abuse or other conditions. The company, which employs 25 people downtown at 1875 Lawrence St., has agreed to be acquired by Livongo, a California-based company fighting chronic physical health conditions such as diabetes and hypertension. Cousino said the transaction is expected to close in the next few days. 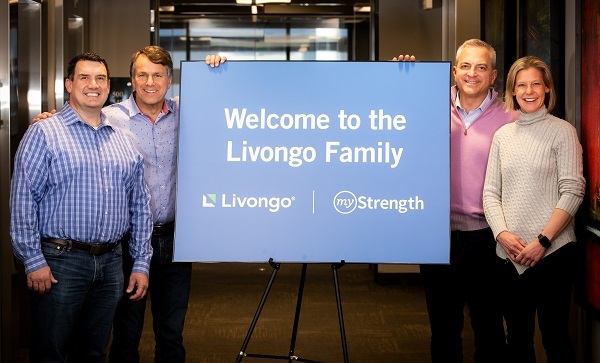 Terms of the acquisition were not disclosed, but Livongo CEO Greg Tullman said the figure was greater than the $10 million MyStrength has raised from investors. MyStrength said it has 200,000 app and desktop users that it walks through techniques and programs to track and improve mental health. Livongo, meanwhile, has created hardware and software to help people with diabetes or other chronic health conditions monitor their health by checking their blood pressure or blood sugar, for example. Cousino said he was not looking for an exit or acquisition. Livongo approached him about joining forces last summer. Livongo had been shopping around for a company that was the No. 1 player in digital behavioral health, and determined it was MyStrength. Plus, it gives the California company an extra office in the middle of the country; its other outposts are in San Francisco, Chicago and Mountain View, California. Two-thirds of MyStrength’s employees are located in Denver, with the rest spread out across the country. Cousino said all the employees are joining Livongo. “We are anticipating the current footprint will increase under the Livongo brand,” Cousino said, adding that the company most likely will look to sign a new lease this year. MyStrength’s Denver investors have included the Colorado Health Foundation and the Zoma Foundation. MyStrength has approximately 130 paying health care payers or providers, including insurance companies, hospitals, primary care practices and Medicaid organizations. Cousino declined to disclose revenue.